Apple (NASDAQ:AAPL) had an unusually busy week of hardware releases. The company’s revenue — and Apple stock — is weighted heavily toward hardware sales, so usually, Tim Cook & Co. choose to reveal new hardware at media events. But this past week was different. On March 25, Apple is holding a special event where it is expected to unveil its new video streaming service. The company clearly wants the focus of the event to be on services, so it spent most of this week quietly taking its web store offline early in the a.m. as new products were added. Here’s all the new Apple hardware that arrived this week, whether you noticed it or not. Apple kicked off an unusual week of new hardware releases with a pair of new iPads on Monday morning. The company surprised many with the introduction of a new iPad Air. This new version sits somewhere between Apple’s consumer iPads and the iPad Pro. 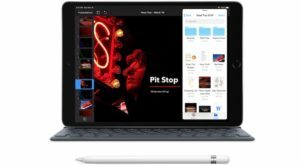 It has a 10.5-inch True Tone Retina display, an A12 processor and supports the first generation Apple Pencil and a Smart Keyboard. But it lacks some of the advanced features offered by the iPad Pro line including Face ID, USB-C support, 12MP camera with 4K video, and the “all screen” Liquid Retina display. At $499 the price also puts its firmly between the $329 9.7-inch iPad and the $799 11-inch iPad Pro. With the iPad price at $329 and iPhone displays hitting 6.5-inches, the odds seemed high AAPL would simply discontinue the 7.9-inch iPad Mini (which hadn’t been updated in several years). Instead, Apple rolled out a new, 5th generation iPad Mini. 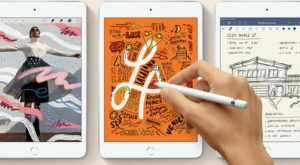 It keeps the $399 starting price, but gets the same upgrade treatment as the iPad Air: a True Tone Retina display, an A12 processor and support for the first generation Apple Pencil. On Tuesday, the Apple online store went down and came back with new iMacs. It had been two years since the company last refreshed its all-in-one desktop computers. The new versions now get Intel (NASDAQ:INTC) 8th generation CPUs by default, with the higher end 27-inch models having the option of the latest 9th generation processors with up to eight cores. Both 4K and 5K iMaces also get optional AMD (NASDAQ:AMD) Radeon Pro Vega graphics. 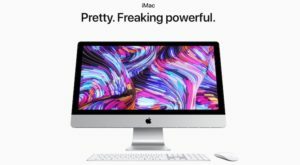 Apple says the new iMacs are much faster, with the 27-inch iMac up to 2.4 times more powerful than its predecessor, with an up to 50% boost in graphics performance. One of AAPL’s big hits over the past several years has been the AirPods wireless earbuds. Earlier this year, Tim cook said wearables revenue — especially the Apple Watch and AirPods — is 50% higher than peak iPod revenue. That’s good news for Apple stock, which has been reliant on softening iPhone revenue. 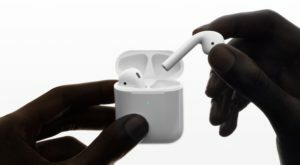 On March 20, Apple put out a press release announcing the second generation AirPods With Wireless Charging Case. The new AirPods get a wireless charge case that can be set on a Qi-compatible charger, hands-free Siri and improved battery life with 50% more talk time. They also get a price boost, from $159 for the originals to $199. 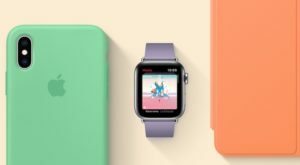 Apple stock is not going to go through the roof just because the company released new pastel, spring-themed accessories for its products — which it did on Thursday. However, accessories are, surprisingly, big business. In 2015, it was estimated that Americans spent $1.9 billion on iPhone cases alone. Every time Apple sells an iPhone, iPad or Apple Watch, there’s a chance to add another $40, $50 or more to the total transaction by tempting the buyer with an accessory, and these are high margin add-ons. By constantly changing things up with seasonal themes, AAPL also gets a crack at selling more accessories to existing device owners. Two things didn’t make this week’s mass release, although they had been rumored to make an appearance: A 7th generation iPod Touch, and the long-awaited (and two year-delayed) AirPower wireless charge mat. Between the long list of new hardware releases and anticipation for Monday’s big event, Apple stock has had a good week, gaining over 5% since Monday morning. Speaking of the March 25 Apple Special Event, check in with InvestorPlace on Monday afternoon for a wrap of everything the company announces. 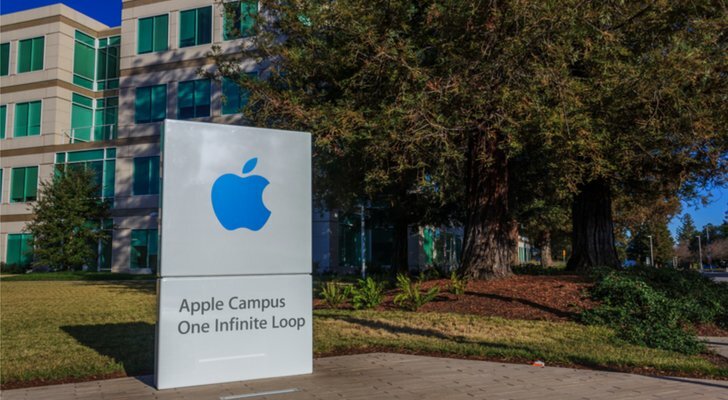 Article printed from InvestorPlace Media, https://investorplace.com/2019/03/all-the-new-hardware-apple-released-last-week/.